I am greeted by affable owner Toby who shows us up to the Windmill suite while sharing some ancient history. 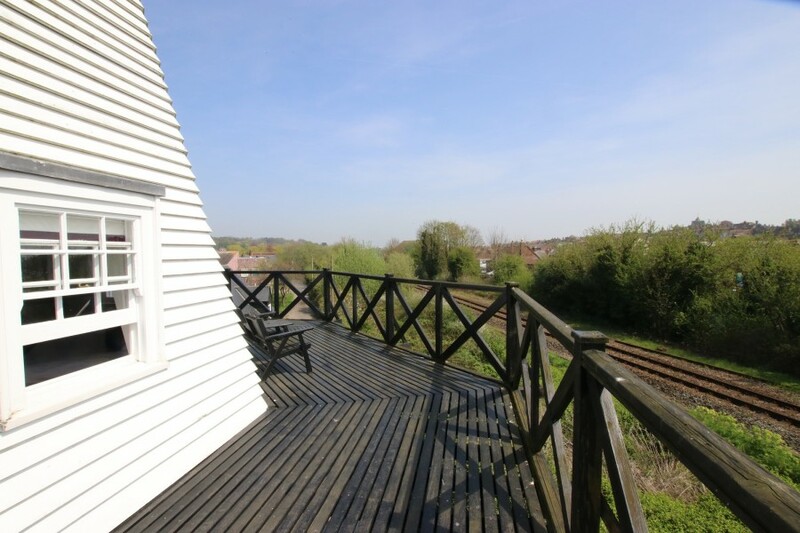 The original smock windmill dates back to 1758 but was rebuilt in 1820 and again partially in 1930 after a fire. It continued to operate as a bakery and then a pottery until it finally became a luxury bed and breakfast in 1984. 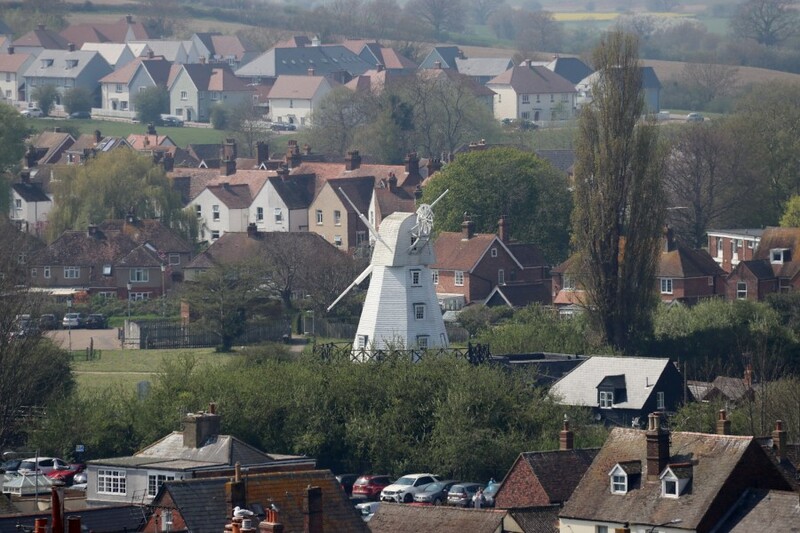 The location and appeal of the windmill has, over the years, attracted not only tourists but filmmakers too including George Clooney who filmed scenes for The Monuments Men here and around Rye. There are ten charming en-suite rooms including a four poster but the Windmill suite, where I’m staying, is a bit more special. 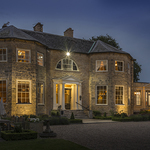 Spread over two floors the enormous circular bedroom with a super king bed is lit by windows on all sides. 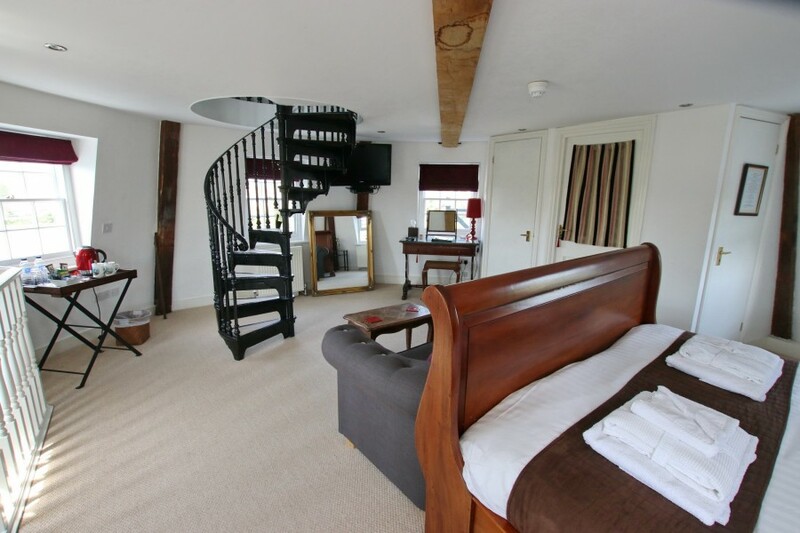 The ornate spiral staircase leads to the massive bathroom where you can choose to wallow in a luxurious deep bath while enjoying views across to the town, or make use of the equally spacious walk-in shower. 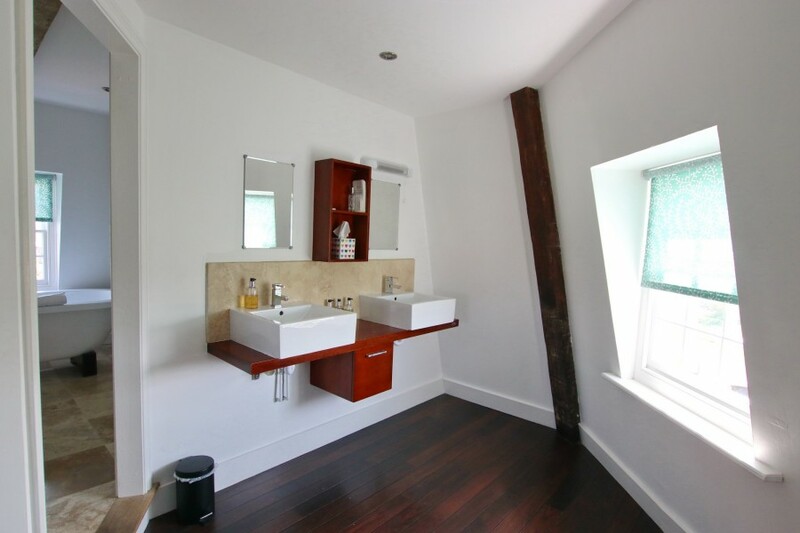 Back down in the bedroom, a door leads out to the platform that surrounds the mill tower. 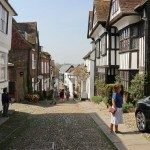 From here I’m able to sit in the sunshine and enjoy views over the river while in the opposite direction, just a few minutes’ walk away, Rye town beckoned me to explore. The Marshlink single rail line also runs alongside the mill and while the service was suspended for most of our stay, trains usually run just once every hour. They are barely noticeable and standing on the balcony watching them chug slowly past makes this enchanting property even more endearing. Waking up the next morning I make use of the Alexa voice activated interface and check the weather before heading down for a delightful breakfast cooked by Toby’s wife Kathryn, as expected using all locally sourced produce. Breakfast is served in the original mill bakery with its exposed brick walls, beams and old ovens still in place. Next door is also a very comfortable lounge with a nicely stocked honesty bar that I made use of later after a long day exploring the surrounding area. 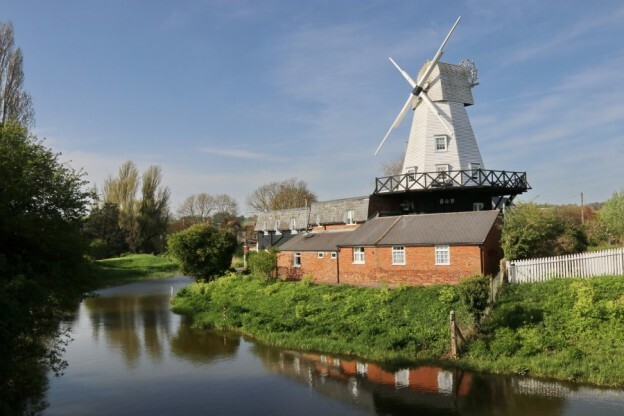 All in all Rye Windmill B&B is a perfect location for exploring East Sussex’ surprisingly diverse coastline with its quirky landscapes, bracing walks, wildlife and fascinating history. 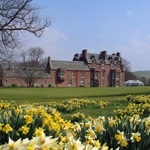 The Rye Windmill B&B rooms start from £90pn for two sharing including a full breakfast.